James Stahl is a cheesemonger, a melt-master and an all-around crazy dude in the kitchen. 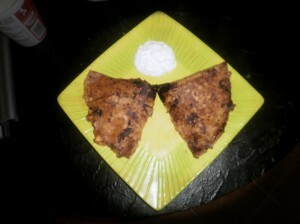 This blog invites you to take a peek at his most recent creations and dares you to try this at home. Important Disclaimer: While I assume that this will be readily apparent, I am not a professional chef. I am simply someone who loves to cook. 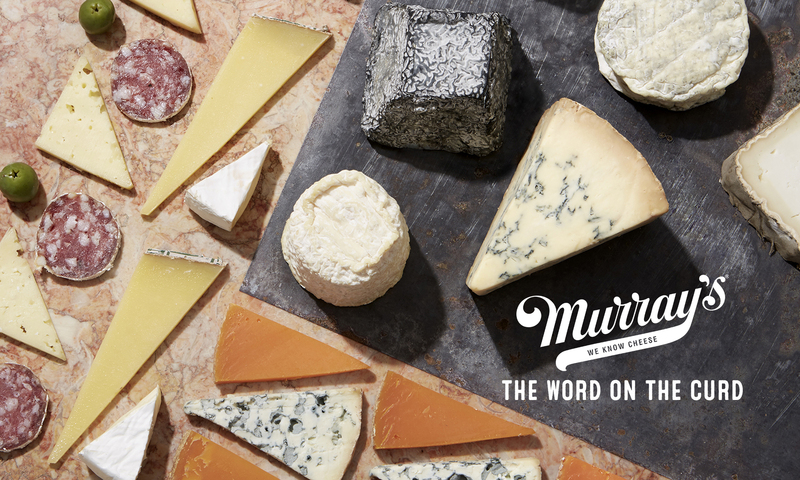 My desire is to expand my ability to create amazing dishes and, with access to the best quality ingredients in New York City courtesy of Murray’s Cheese (not to mention a pretty sweet discount), I intend to share that experience with you. Okay, that was far too serious. It won’t happen again, pinky swear. On to the food! Note: The recipe shown is how I executed the dish that is pictured, not necessarily how I conceived of the dish or how I would make it again. In a large skillet under medium-low heat melt 3 tablespoons of the butter. Add garlic, cook until browned. Add onions, sauté until soft and translucent, about 5-6 minutes. Pour in vinegar, beer and chicken broth, raise heat to a boil. Add ketchup, mustard, cumin and cayenne pepper. Stir until fully mixed. Lower heat and simmer for 10 minutes or until reduced by about a quarter. In a separate pan, heat up olive oil until just before smoking and add shrimp. Sear each side a nice golden brown, just over a minute each side, so pay close attention. Heat tortillas in a microwave for about 30 seconds, add half of the shrimp on each tortilla, cover with sauce and half of the cheese. Fold tortilla on top of itself. On a grill pan, over medium high heat, melt a tablespoon of butter, place quesadilla on pan and brown each side, a couple minutes for each side. Cut in half and serve with sour cream. The Sauce. Hot damn that sauce turned out great. I was aiming for a pulled pork vinegar-style and I think I nailed it. The chicken broth balanced everything out nicely despite the fact that I hadn’t originally planned on using any. The importance of good chicken broth cannot be understated. Could it have been spicier? I think it was plenty hot for a mixed crowd, but I wouldn’t turn down the option of chopping up a serrano pepper and cooking it with the onions. The Shrimp. I had tossed around the idea of using a pre-roasted chicken and shredding the breast into the sauce and letting it simmer for a good long time, but shrimp really turned out to be the better option. The chicken would’ve gotten lost in the sauce while the texture of the shrimp really stood out. My Impending Senility. So the plan was to finely chop up some chorizo, fry it crisply and add to the sauce. I bought it. It was in the fridge and everything, but I just flat out forgot about it. The Tortillas. The large tortillas were rather unwieldy and it was difficult to get an even browning on my fry pan. I would definitely use smaller tortillas next time. The Definition of “Cleaned” Shrimp. Apparently mine is different than the seafood shop’s. De-veining the shrimp wasn’t nearly as difficult as I had imagined, but it wasn’t particularly fun either. I definitely give it a thumbs up, but hopefully I’ll remember the chorizo next time. The smokiness and crunch from the crisp chorizo will be a killer addition to the sauce. Dominion/Mother Russia by The Sisters of Mercy. Thank God the internet didn’t really exist back during my high school goth phase. Nobody needs to relive that. Seriously. Previous PostPrevious Run, Cheese Boy, Run! Next PostNext Who You Callin’ A Hooligan?